With 70 years of expertise delivering vocational higher education the University Centre Wigan & Leigh College is the first choice partner to secure your career success and for the skills development of the future workforce. For careers and sector expertise in Business, Professional & Technology, Creative Arts & New Media, Construction & Engineering and Health & Social Care, Sport & Education. 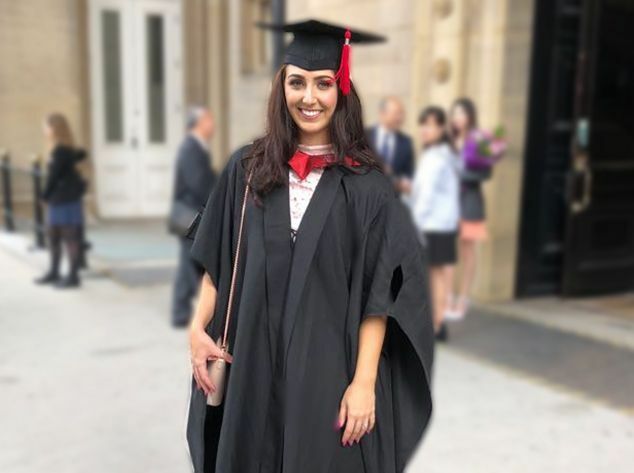 Degrees, Foundation Degrees and Teaching qualifications are awarded by the University of Central Lancashire (UCLan) and the Higher National (HND and HNC) courses in partnership with Pearson Edexcel. Students studying on programmes awarded by UCLan can also access a range of the University's resources and facilities. Our University Centre programmes develop qualities in students which are sought after in industry, from employability and problem solving skills to communication and team working. We pride ourselves in providing quality learning opportunities to equip the workforce for the future with the skills., knowledge and opportunities to establish a successful career in their chosen profession. why choose the university centre wigan & leigh college? Our fees are extremely competitive and by studying locally you could save thousands on accommodation costs. Shaunna Campbell completed her degree in BA (Hons) Business Administration with a First Class qualification. Madara recently gained a full time position at Matalan as a Junior Designer for Children's Clothes through her work placement at the University Centre Wigan & Leigh College. 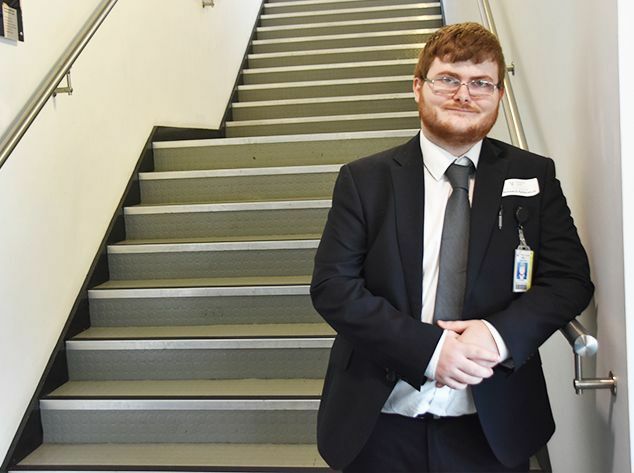 Johnathan Palmer finished his BSC (Hons) in Computing with a 2:1. 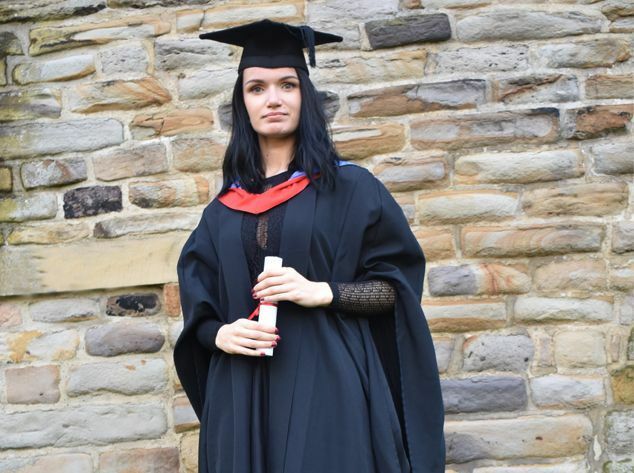 Helen Foster is currently studying her Foundation Degree (FdA) in Criminology and Sociology. What is University Centre Status? The recognised body for Wigan & Leigh College University Centre is The University of Central Lancashire (UCLan). This means that Wigan deliver the teaching and learning to support you in achieving your degree and that your award is from UCLan. Colleges can’t award degrees themselves but they can deliver them with the support of an awarding partner. What are the benefits of studying at the University Centre? Who are Pearson and what is their role in HNCs/HNDs? Pearson is the UK's largest awarding body and we are regulated by Ofqual (England). 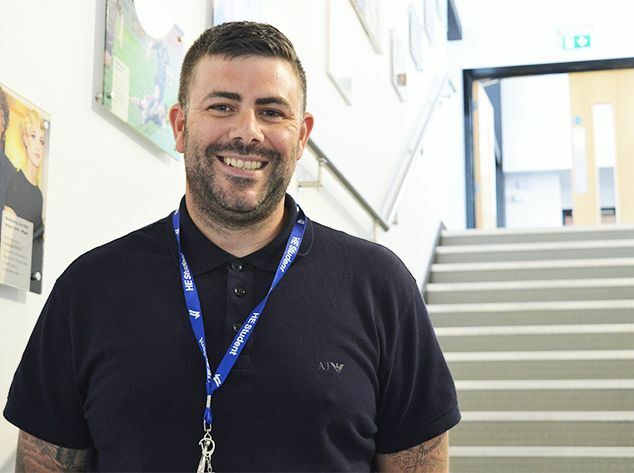 They offer academic and vocational qualifications that are globally recognised and benchmarked, with educational excellence rooted in names like Edexcel and BTEC. Vocational qualifications include Edexcel NVQ and BTEC from entry level to Higher National Diplomas. BTECs are recognised in more than 70 countries worldwide. Available in over 40 subjects, BTEC Higher Nationals are an ideal choice for learners seeking a cost-effective and relevant route to their first degree or employment. BTEC Higher Nationals provide specialist work-related learning, reflecting the requirements of employers and professional organisations and meeting the National Occupational Standards for each sector or industry. 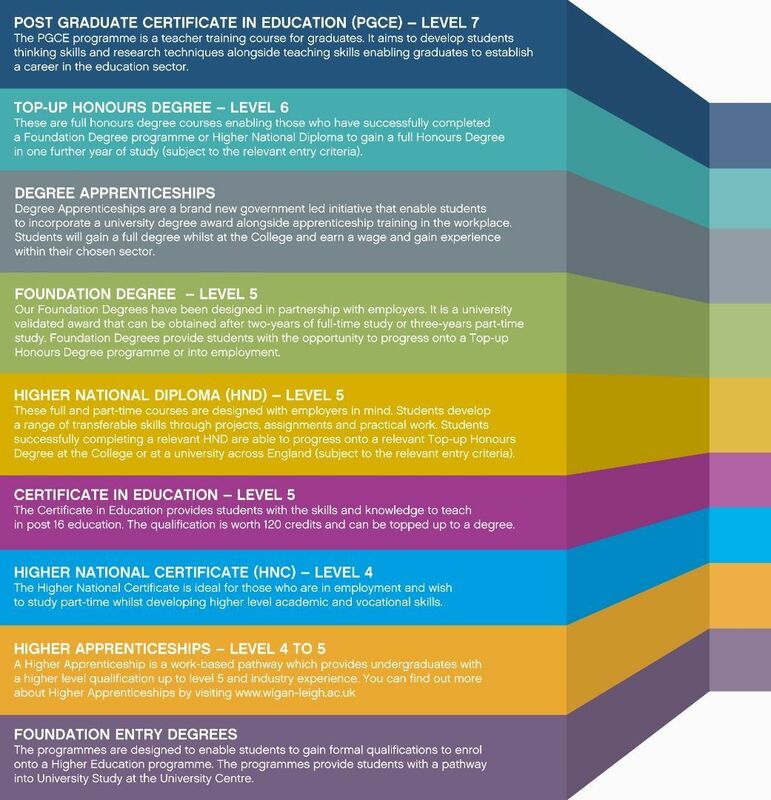 What are Degree and Higher Apprenticeships? Higher and Degree Apprenticeships provide a skills focussed alternative to degree study. On-the-job training alongside higher-level study will kick-start your career and long term employability.